Do you need mobility scooter batteries? Finding the right company to replace your mobility scooter batteries can be a hassle if you let it. 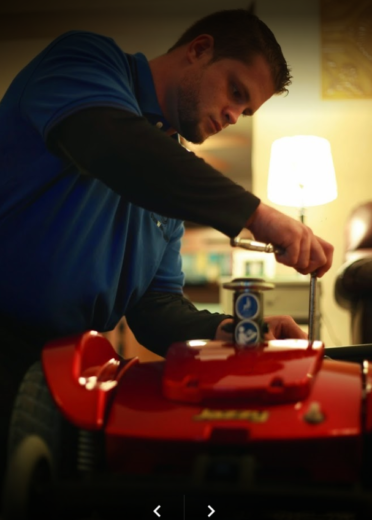 By having Statewide Mobility installing your mobility scooter battery replacements, you can be rest assured to know you are in good hands. With our great warranty, anytime you batteries play games, we replace them and no questions asked. Mobility batteries are different than car batteries which contain acid. Scooter mobility batteries are made of all lead, are non spill-able, gel sealed, contain no memory, and are FAA approved for travel. They last the longest and provide a consistent charge every time. We choose only the best batteries for mobility scooters. Scooter batteries are always in stock with us. You can have the feel of ease to know we can have you mobility scooter running optimally. Most scooters use one of three batteries that we always have stocked. For instance a Pride battery and a pride gogo battery normally use 12v 12h batteries. There are times when 12v 18ah batteries are used in an upgrade from the manufacture. These batteries are for small travel scooters. Most manufactures use these batteries for their travel mobility scooter batteries. Mid sized scooter batteries are 12v 35ah batteries, which are significantly larger than the travel scooter battery. The largest scooter batteries come from the recreational sized mobility scooter. These are very large scooters, with very large Group 24 batteries rated at 12v 55ah. Regardless of the mobility scooter battery replacement, we have them ready for you. For information regarding your scooter’s battery, call us direct at (888) 324-0345 , or click on the “contact us” tab at the bottom of the page. We will service Fort Lauderdale within hours of receiving the call as we are home based to this area.